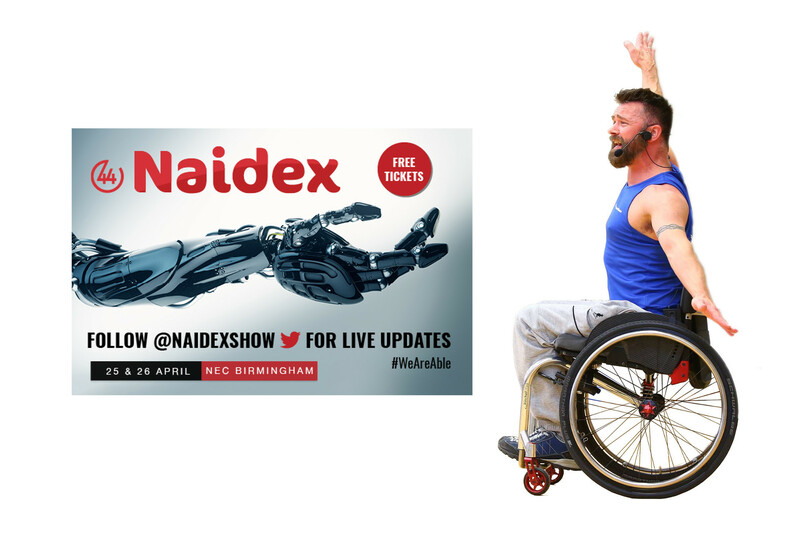 Are you visiting Naidex this Wednesday? If so, here’s your chance to have a bit fun and have the chance to win a copy of all three of our home exercise DVDs; Wheel-Fit, Wheel-Flex and Wheel-Spin. How to enter: our founder Kris Saunders-Stowe will be attending Naidex on Wednesday 25th April. To be in with a chance of being the winner of these three DVDs, you need to find him at Naidex and ask for a selfie with him. Then either message your pic to Wheely Good Fitness’s Facebook page or tweet it to @WheelyGdFitness using the #WheelFit hashtag. You have until midnight on Thursday 26th April to get your selfie pics messaged or tweeted to us. There is no cash alternative. The winner will be contacted via the media used to enter; FB or Twitter. By entering you are agreeing for your picture to be used on Wheely Good’s FB and Twitter pages for the purposes of this competition.